My kids are back to school this week so I am enjoying some more computer and sewing time! 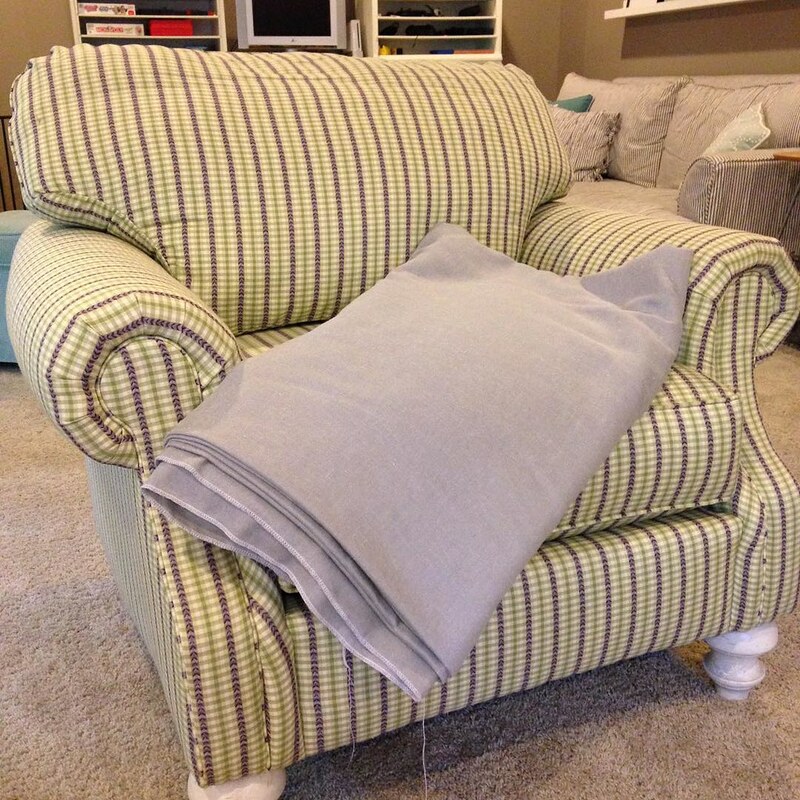 Here's a chair that I worked on making a slipcover for over the summer. 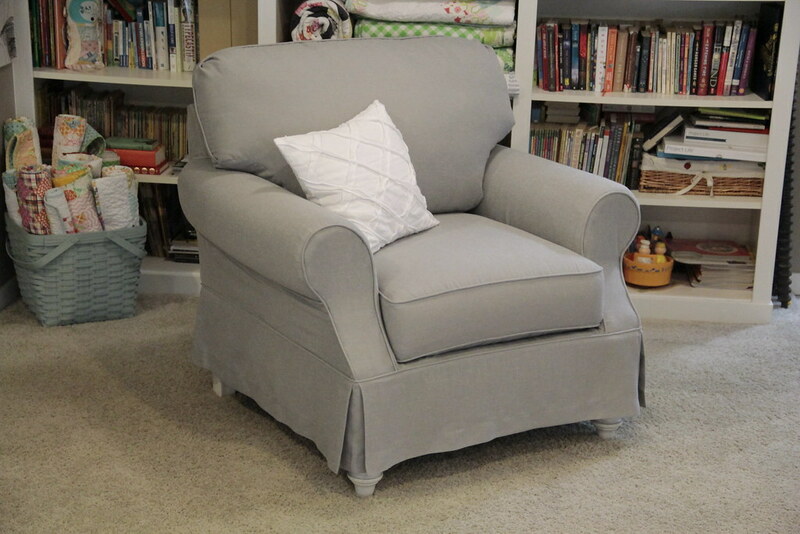 For this one, I used a lightweight gray linen. The back cushion was attached so I cut that off and made a new cover for it. For the skirt on this one, I kept it as short as I could so that the front feet would show. The side of the upholstery on the chair had a dip to it, so I had to keep the skirt a little longer to cover that part. The back turned out nice with a zipper up the side. 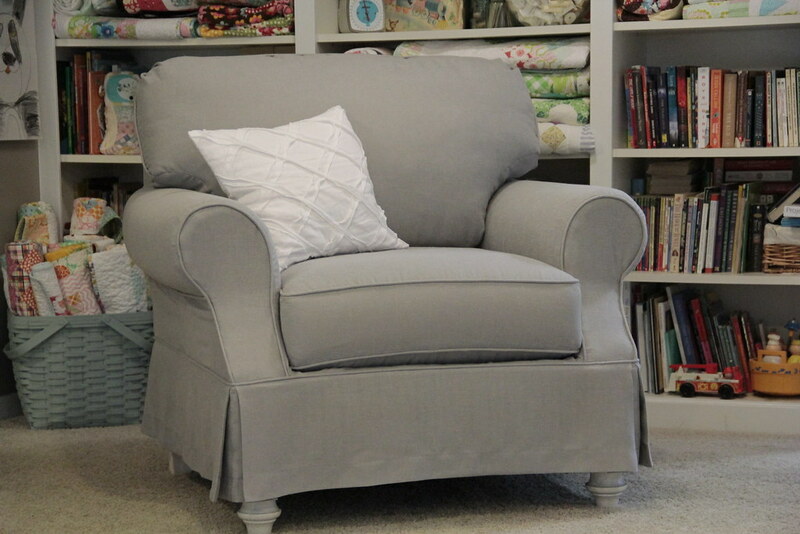 This chair will be so cute in my clients guest room! It's a neutral option and can go with so many different decorating styles. Over the past few weeks our chickens have started laying eggs! It's been very exciting for the kids (and me, too). We bought some chicks (6 of them but one turned out to be a rooster) earlier this spring and have been enjoying watching them grow up. 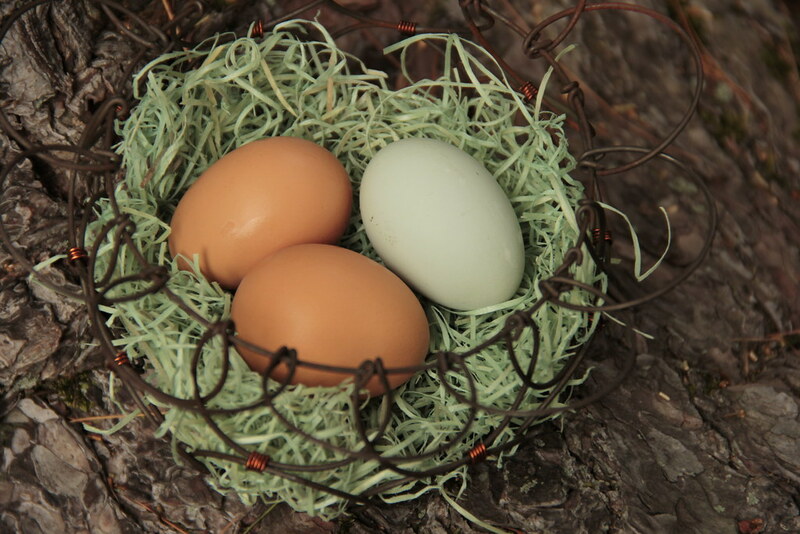 We have three Ameraucana hens that are starting to lay the pretty pale blue/green eggs. Those are the ones I'm most excited about...just because they're a different in color than a white or brown egg. 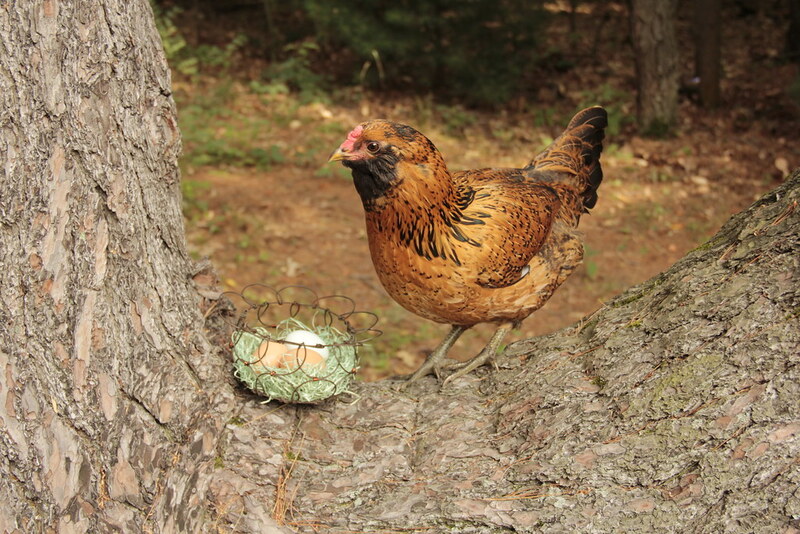 Here's one of our Ameraucana hens, I think this one is Swagger. They all have "S" names...Sunny, Snickers, Swagger, Snuggle and Sadie. ;) Needless to say, the kids have loved it and they've really been easy to care for. Hopefully your week is off to a good start! You did a fantastic job slip covering your chair and what a difference it made in the appearance !! You said you cut the back cushion lose that was attached, essentially you made a new covered cushion? 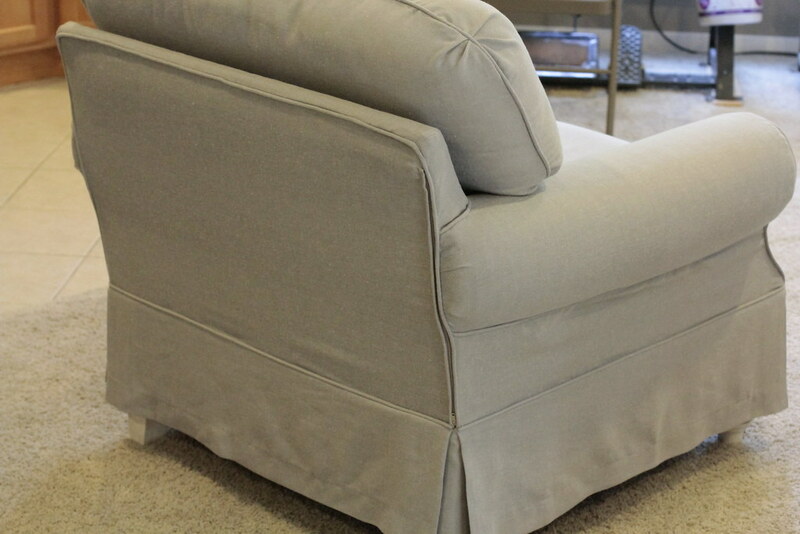 What a great job you did on your slipcover. I have a couple of chairs that desperately need work and I plan to make covers for them, I know that it will make such a difference. Thanks for the inspiration. Your covers always look amazing! I consider chickens produce brown eggs, but your pets produce a white egg. They're larger than I think since my pets have the smaller.